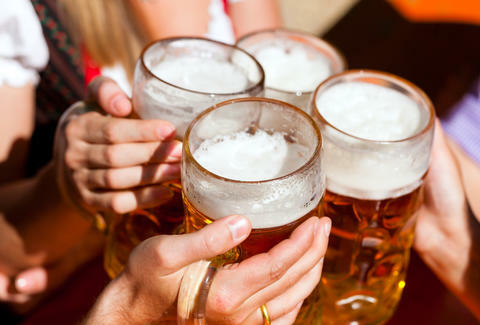 Which City Has the Cheapest Beer in the World? If you're anything like us, a significant portion of your vacation budget is eaten up by the purchase and consumption of beer. As such, it pays to factor in local beer prices when picking vacation destinations, and thanks to some newly released data, that process just got a lot easier. GoEuro's 2015 Beer Price Index compares 75 different international cities, combining the average price of beer (in supermarkets as well as bars) for each city and ranking them accordingly. Krakow and Kiev both tied for first place, with an overall average price of $1.66 for a beer, while Bratislava's $1.69 beer price pushed it into third place. By comparison, Geneva had the most expensive beer with an average price of $6.32, while New York's average price ($5.20) actually made it the most expensive city for beer in America -- yet another reason to steer clear of the Big Apple. GoEuro's data also looked at annual beer consumption per capita, as well as the average amount of money spent on beer each year. Turns out, the folks in the Romanian capital of Bucharest down the most suds in the world (just over 35 gallons per capita), while the citizens of Helsinki, Finland spend $1,542 per capita to ensure their cups continue to runneth over.